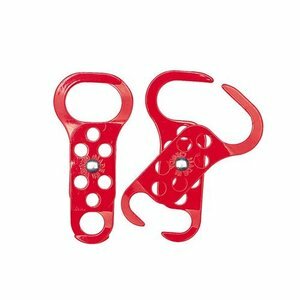 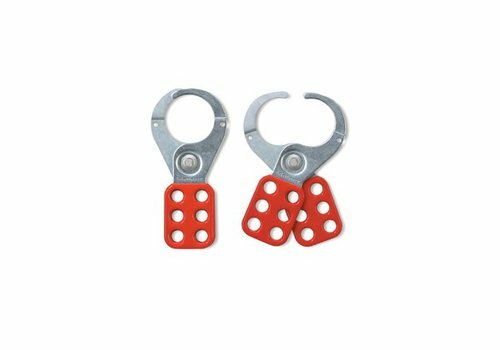 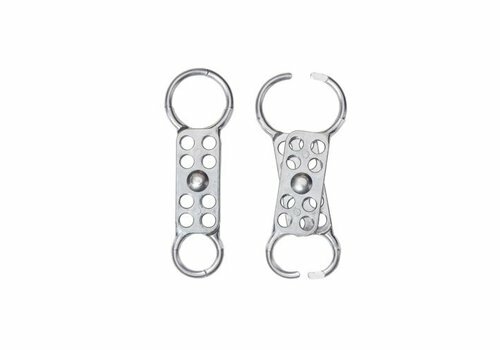 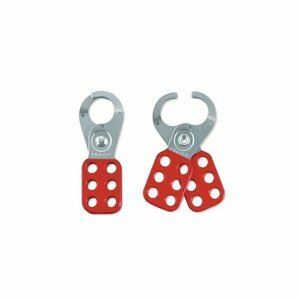 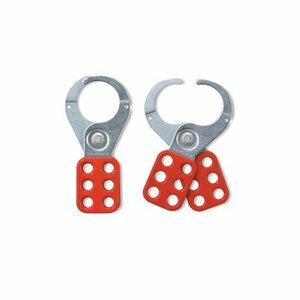 Two hasp sizes: one is 31.75 x 44.45 mm, the other has a 19 mm diameter. 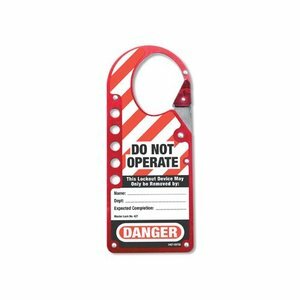 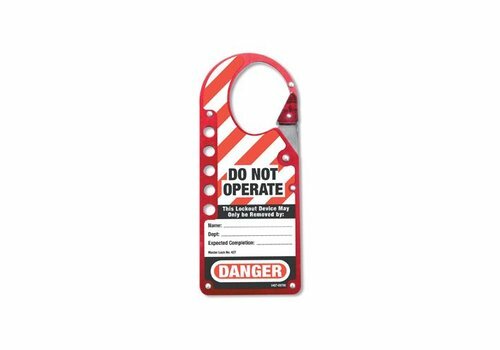 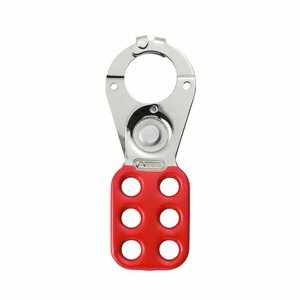 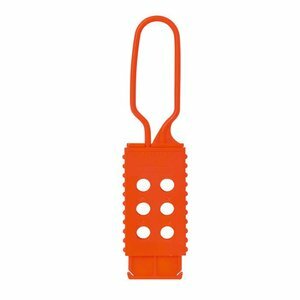 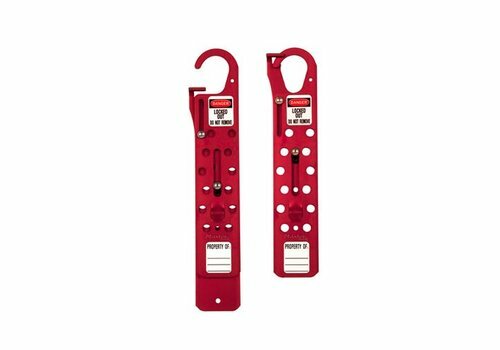 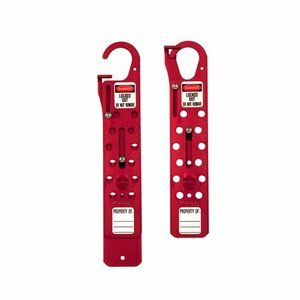 The stubby lockout can be used when lockout conditions vary in size. 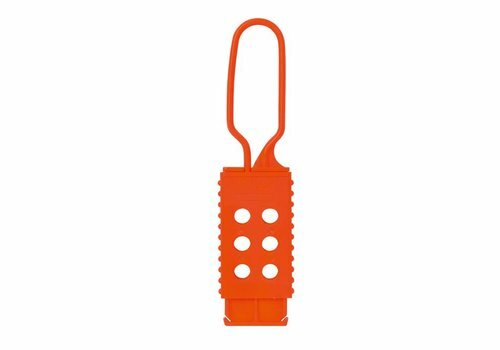 Accepts padlocks with max. 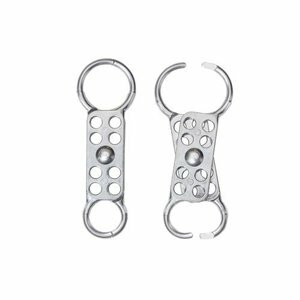 10mm shackle diameters. 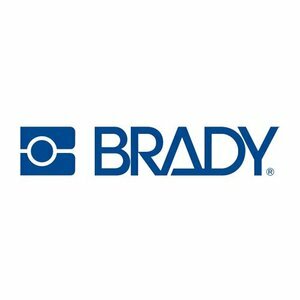 Lockout hasp aluminum holds op to 12 padlocks. 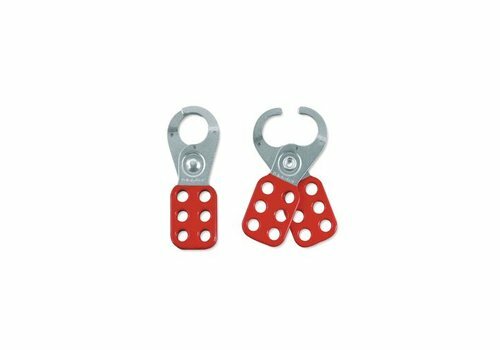 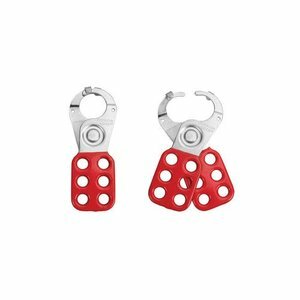 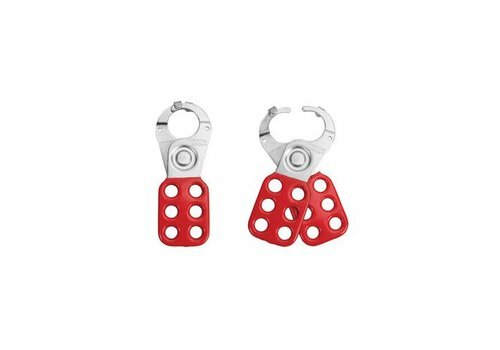 Lockout hasp aluminium with double jaw.